Content Committee – The Content Committee is responsible for creating educational material about and for BeVocal. In addition, the committee oversees all material produced on behalf of BeVocal to ensure the consistently and quality of the initiative is met. Past projects include: writing the BeVocal Facilitator’s Manual, developing a mission and vision for BeVocal, and creating a definition for the BeVocal initiative. Branding Committee - The Branding Committee provides support for BeVocal through comprehensive media planning, building brand awareness, delivering campus resources and driving engagement and participation. This committee is also responsible for reviewing co-branding requests and brainstorming/ordering new promotional material. Members of the branding committee have the opportunity to think creatively and strategically to build the mission and vision of BeVocal. 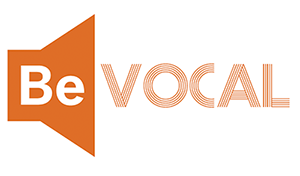 Evaluation Committee - The Evaluation Committee is responsible for building, organizing, executing, and analyzing the assessment of BeVocal's efforts. This committee meets at least twice a semester to plan and discuss the evaluation process but much of the work is done remotely. In the past this work mainly consisted of creating, distributing, and analyzing surveys and generating reports from those survey findings. Surveys tend to be targeted at students to determine a campus's awareness of the BeVocal initiative, bystander intervention rates, as well as student reactions to BeVocal programming. Members of the evaluation committee are expected to have some familiarity with research methods and design, statistical programming, and/or survey development and distribution.